A few days before the start of the Sandhills 1000k I checked my iPhone weather for Broken Bow Nebraska. The start day would be hot, near 90. The finish day would be cooler. The middle day was forecast for wind. That’s it. 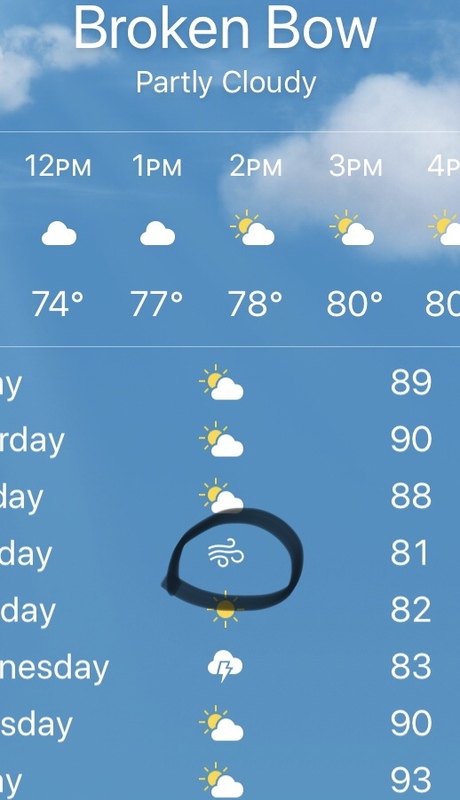 Just a wind symbol. 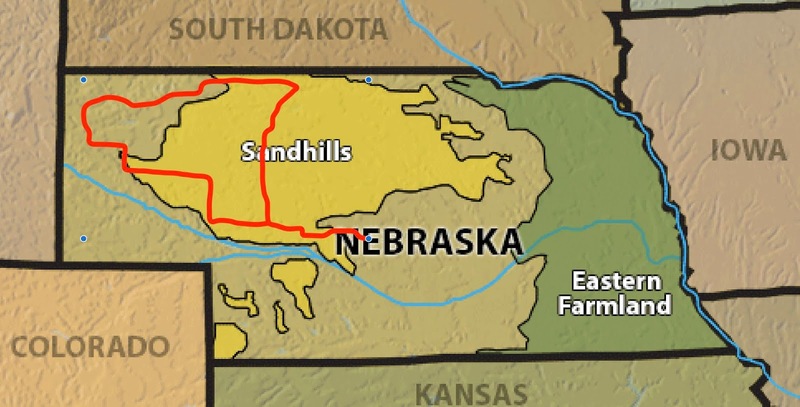 If you ever ride in Nebraska and see that symbol, watch out. This was the second edition of the Nebraska Sandhills 1000k. I rode the first edition in 2016 and loved it so much that I blogged about the ride and then that was picked up for a story in American Randonneur. The publicity did not translate to oversubscription. 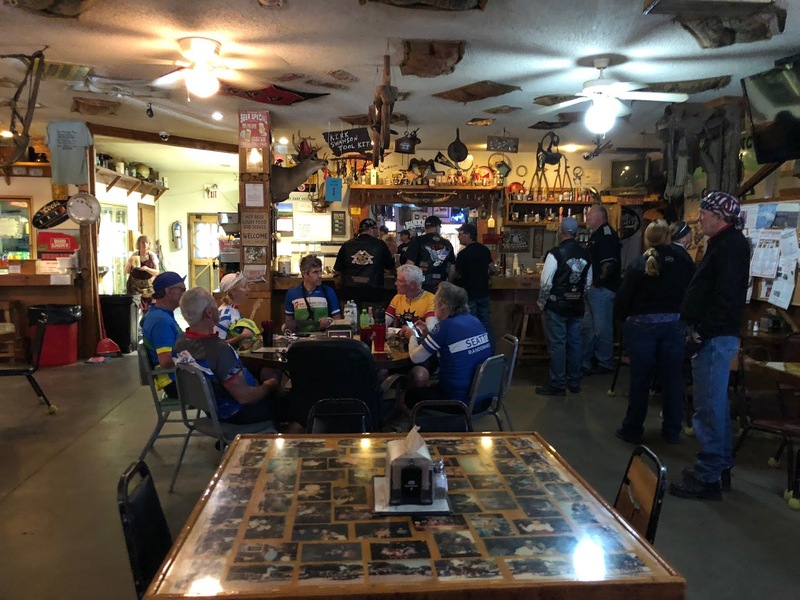 8 riders attended the 2016 ride and 7 toed the line for 2018. The veterans included myself, the RBA host, Spencer Klaassen and homegrown cornhusker Rodney Geisert. The always popular Rick Blacker flew in from Olympia WA. Brian Feinberg from SFR came based on a suggestion from Robert Sexton who had thoroughly enjoyed the 2016 edition. 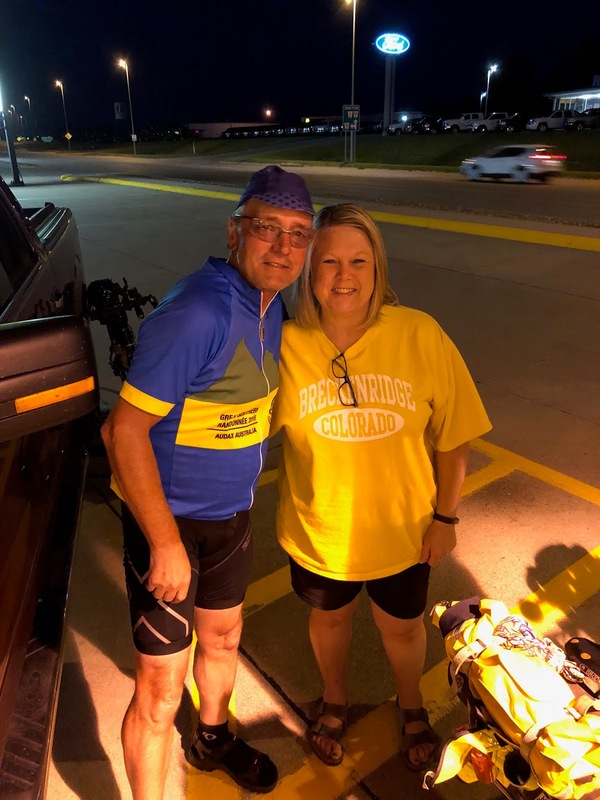 Bill Giffin took a break from his nearby farm in Kearney NE to tackle his first 1000k. 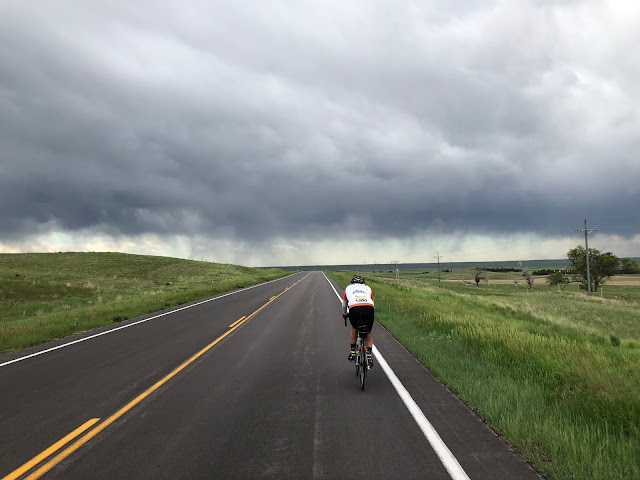 Completing the field was newly minted Super Randonneur Anda Arms who drove up from Manhattan....Kansas. I rode with a gps but you could easily stay on course with a single note card of turns. The first turn ito a different road comes at 49.4 miles and other stretches without a turn include 109.8, and an unbelievable 161 miles heading west on US-20 between Valentine and Crawford. More important than a gps is a phone with a radar app and a wind app. Not that you can change the wind but you might plan your stops accordingly. Radar can help track storms vs. course track also to plan or modify stops. In 2016 we holed up at controls for several hours twice. This year we never had to prolong a control stop to avoid a storm. We did see the Storm Tracker vans heading to Valentine on Day one but that was after we cleared through. They would be covering the big storms the following day! L to R, Bill Giffin, Rod Geisert, Spencer Klaassen, Brian Feinberg, Anda Arms and Rick Blacker. It’s called the Sandhills for a reason people. This part of Nebraska is NOT flat. The climbs are more gentle traveling east and west and a bit steeper heading north and south. Even though the course constantly rolls, the ride is not about elevation gain. It is about air. More specifically, moving air, or as you may know it, wind. To give a small example of how the wind can affect the ride consider a comparison of the first days from 2016 and 2018. In 2016 we caught a prolonged headwind as we traveled south to north. We also waited out a storm for a couple of hours. Bottom line, we got to the sleep control around 3 am. This year we had a tailwind pushing us to the north, no storms and barely turned on our lights, arriving at 9 pm. The sleep control was 20 miles shorter in 2018 but still we’re talking about a 6 hour swing. Cyclist preacher makes a u-turn to talk to some weird looking bikers. 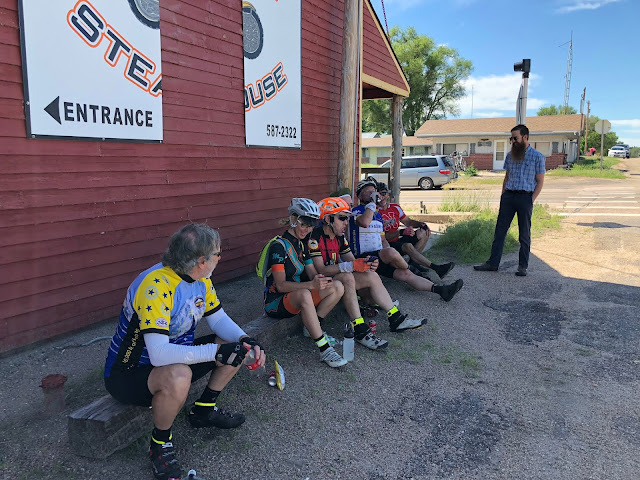 After hearing the distances we are covering he calls ahead 30 miles for his fried to come down and meet us at our lunch stop. His friend meets us 2 hours later and we discuss what else, riding bikes in Nebraska! Heading south to north day 1. Ricky leads us into the heart of the Sandhills. Our early arrival into the first overnight riled up the wind gods. When I checked the Valentine weather upon waking for Day 2 the report sounded like a page out of the Old Testament. Dangerous winds, damaging hail, lightening and of course Tornadoes. I was a bit concerned but Spencer assured me that those storms were behind us. Still we would be dealing with some stiff wind. Generally we would be heading west for 115 miles. Generally, the wind would be cross or head for those miles and would be strong. In North Carolina it is almost always calm at dawn but in Nebraska the wind wakes up with the farmers. 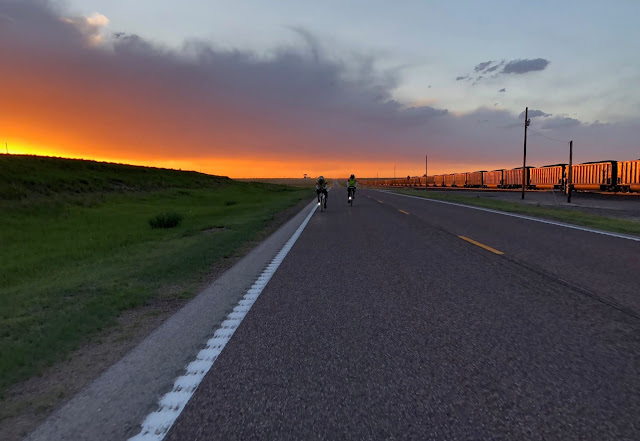 We stepped into the darkness of day 2 and pointed our bikes West on US-20. The wind nearly knocked us over. For the next 12 hours we would work to achieve that left hand turn out of the wind. It was a long grind.It was the kind of day where the wind was hitting our front left shoulder to start, but then swung directly out of the west to knock us backward. By the time the road swung slightly to the north guess where the wind shifted to. That's correct, from the northwest. At least when you are climbing a big mountain they don't move the top. The wind can really work on you mentally. What can you do? Downshift, tuck in behind Spencer and hold your line. Don't watch your speed and don't watch the odometer. Either could drive one insane. Despite the ominous clouds we picked our way through the storms. Never miss a chance of an iconic shot in the Sandhills! The sun sets on day 2 heading into Alliance. My kind of rolling coal! Rod and Denise at the finish! At this point I'd like to introduce you to our guardian angel and roving support, Denise Giffin. Denise was everywhere, and that's saying something on a 1,000k loop course in Nebraska! She was there because her husband Bill was riding but she took care of each and everyone of us like we were family. Spencer and Rod were planning to trade off driving support and riding permanents which Spencer had planned between the start, overnight controls and the finish. Then Heaven sent Denise and Spencer and Rod were able to enjoy the full monty with us. The idea for available segmental brevets along the route came from down under during one of Spencer and Rod's many visits to Australia. If someone DNFs on day 1 then they can still ride day 2 and 3 for credit. I think it is a genius idea! 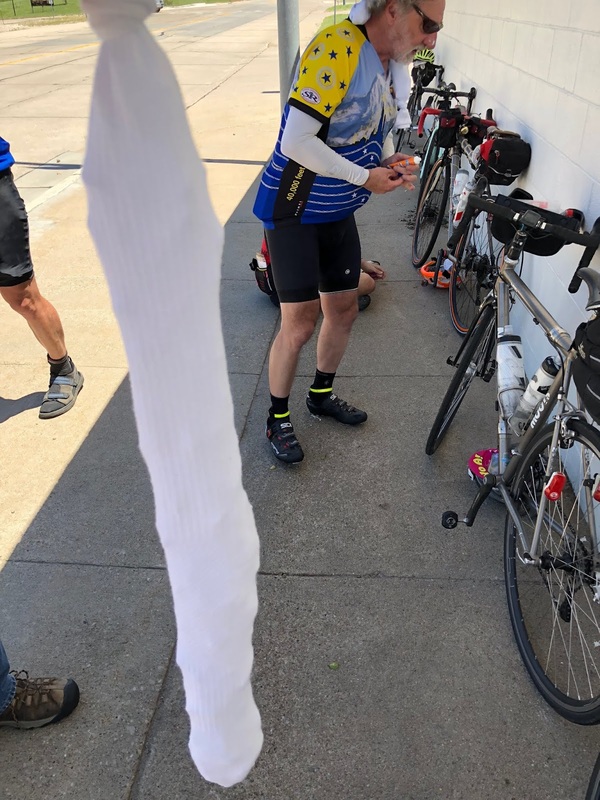 Spencer planned a 300k brevet for the first day that finished at the overnight. 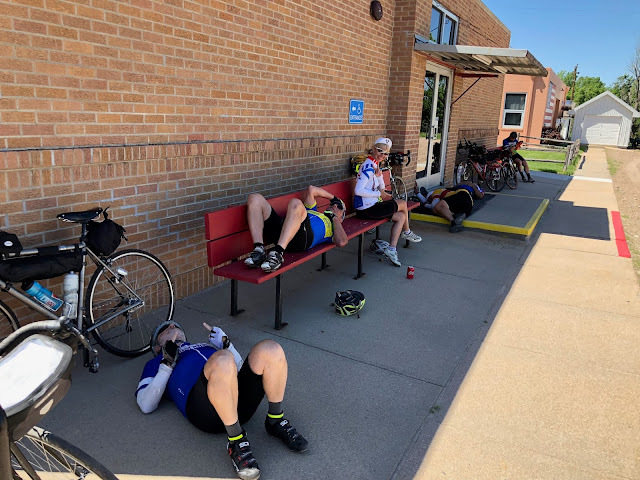 The second short brevet was 200k which connected the overnight locations. 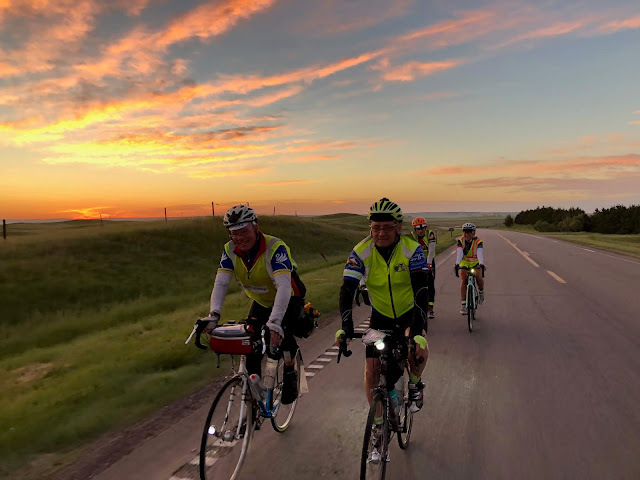 The third day a 250k brevet was available from second overnight to the finish line. Do not come to this ride expecting to ride through fields of corn. This is cattle country and the rolling grasslands are dotted with black angus. So are the menus. We lived on burgers. Really good ones. Denise even had burgers waiting for us at each of the overnight controls since there were no open restaurants upon our arrival. Did I mention that she was an Angel? Large ice sock. Dewey for scale. We had no significant rain but did contend with some above 90º temperatures. The hot weather veteran of the group, Rick Blacker passed out tube socks at the ride start, and they saw substantial use. Dewey ice socks? Yes we do! Ice socks were de rigueur on day 1 and 2. The peloton looked like a bunch of middle linebackers. The nighttime section between Alliance and Hyannis is a real highlight. The star filled sky is mesmerizing and stretches from horizon to horizon. Once again we saw more trains than cars and let me tell you, a train whistle less than 100 yrds away does wonders for the sleepy randonneur. 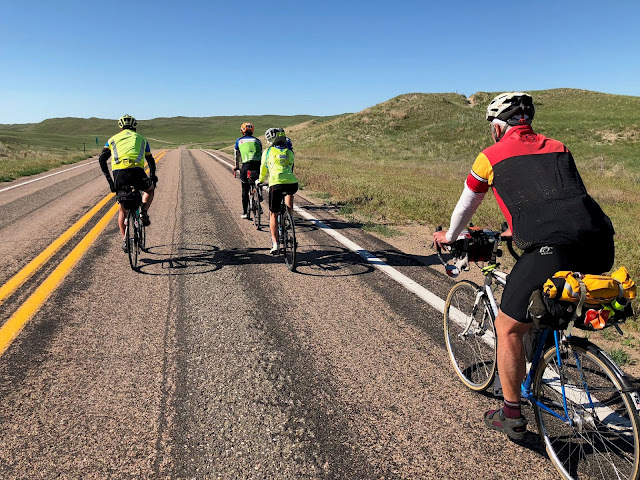 This section also passes many small lakes and the rising moon danced off the water as the finally realized tailwind pushed us into the overnight at the Ranchland Motel. The ice socks from earlier in the day were a distant memory as the temperature fell into the low 40s. By the time we arrived at the Ranchland Motel we were fully layered with the entire clothing contents of our bags. 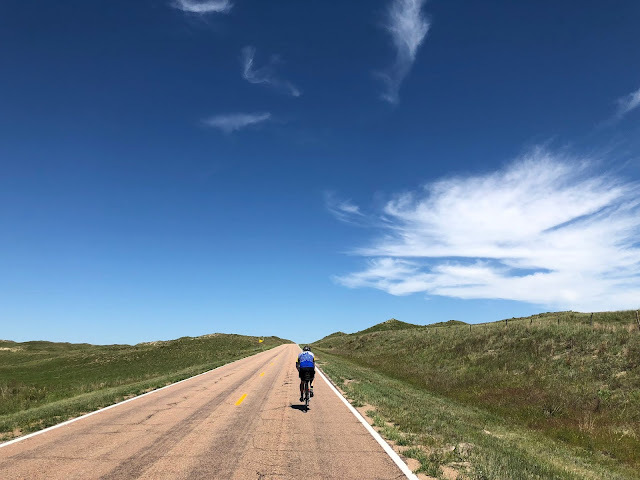 Day 3 featured a heavenly tailwind! On day 3 the wind gods misread our cue sheets and wound up pushing us back to Broken Bow with much vigor. We sat upright and pedaled uphill sometimes over 20 mph! It was quite a day. 151 miles of smiles. 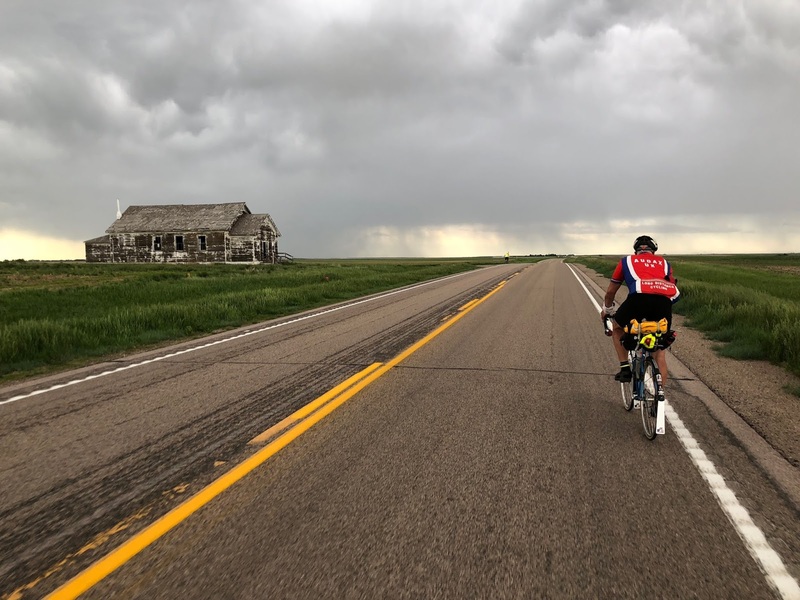 We rolled into Arthur and visited North America's oldest straw bale church, then cruised by the smallest courthouse in the US. We were 40 minutes early for the Bunkhouse Saloon but decided to wait for it to open. Ricky worked some magic and we scooted in at 10:30 just ahead of the other "bikers." With burgers in our bellies we hoisted the mizzenmast and set sail for Broken Bow. All bikers welcome at the Bunkhouse. We all arrived in a fairly tight window around dusk to the crowd of one, Denise! Everyone agreed that the Sandhills 1000k was a resounding success. 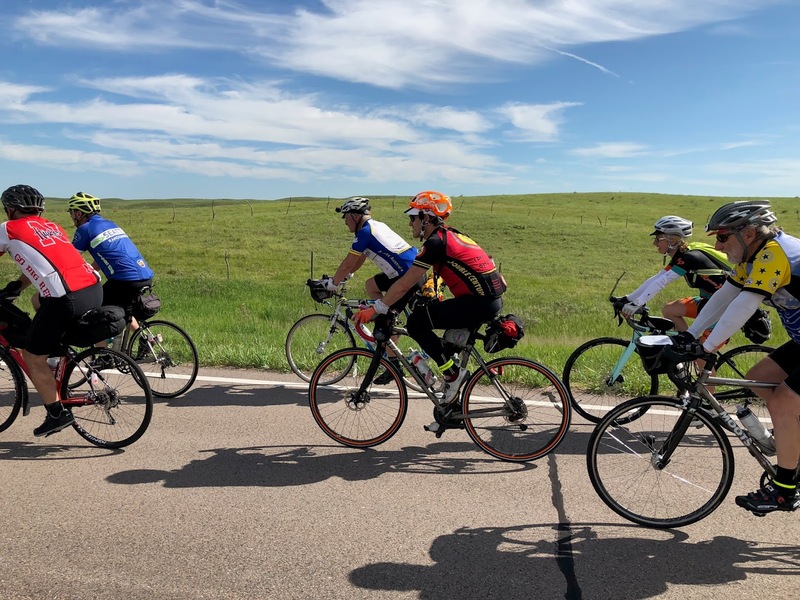 After the 2016 edition I encouraged riders from around the country to give Nebraska a try. It's not what you are expecting. I live in North Carolina and twice now I have travelled nearly across the country to ride in this paradise. That should tell you something. If the Nebraska Randonneurs decide to have a third event consider joining us there. See how I said us, because I'd hate to miss it! 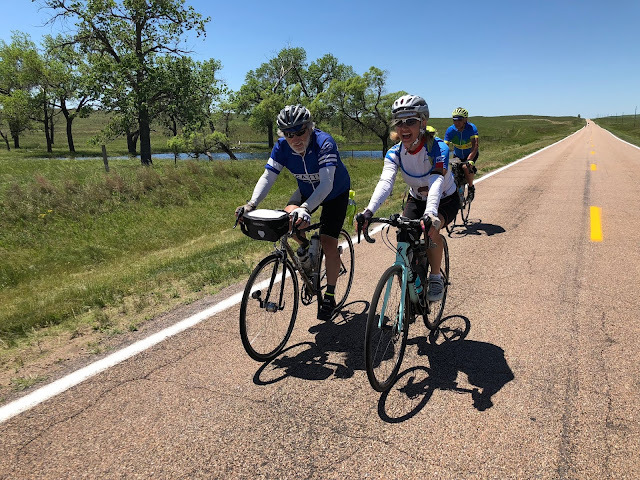 Special thanks to Denise Giffin for support above and beyond the call of duty and to Spencer Klaassen for planning and organizing another stellar event showcasing the Sandhills of Nebraska. Merci! 151 miles of smiles day 3. Just when you thought he was asleep, double barrel salute! At least one rider looks fresh! I am biased. It is not a 1200 K, but it still can be a blast. Spencer would love that Leigh! See you in Ireland soon.